Happy New Year, Zeal, and Yomi! 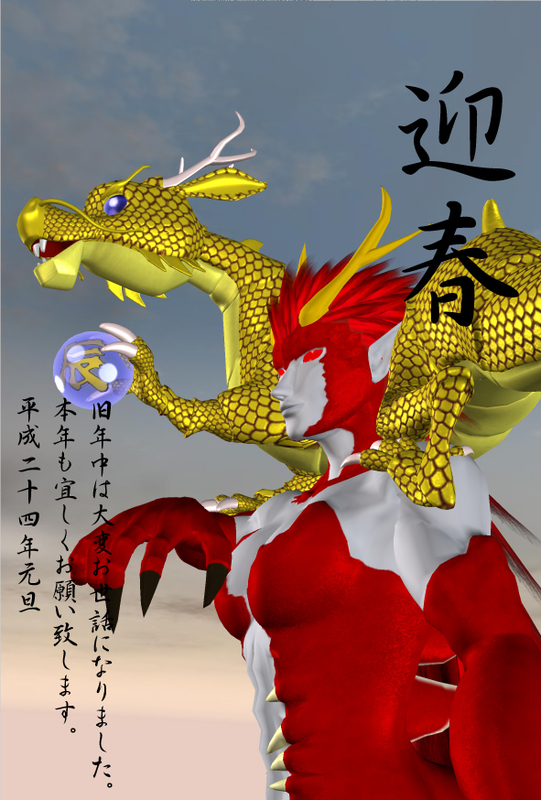 This year is a year of a dragon In Japan. Therefore, the photograph was made using Gizenda which used the dragon as the motif. Thank you for enjoying oneself. In addition, if Yomi is Japanese, it will pronounce with Hromi. Please keep it in mind, if good. Then, I need your help well this year also. Copyright © Feldenの遊戯室 All Rights Reserved.